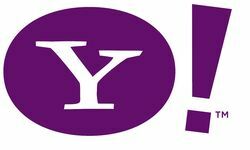 Yahoo!, founded in 1994, is one of the Internet's leading global consumer and business services companies. It is one of the most recognised Internet brands, reaching over 237m unique users in 25 countries and 13 languages, and leads the industry in terms of traffic, advertising, household and business user reach. Yahoo! provides many basic products and services free of charge and also offers a range of fee-based services. Additionally, the company sells marketing and advertising services to businesses across the majority of its properties and services. From their web site: "Yahoo! has never declared a cash dividend"